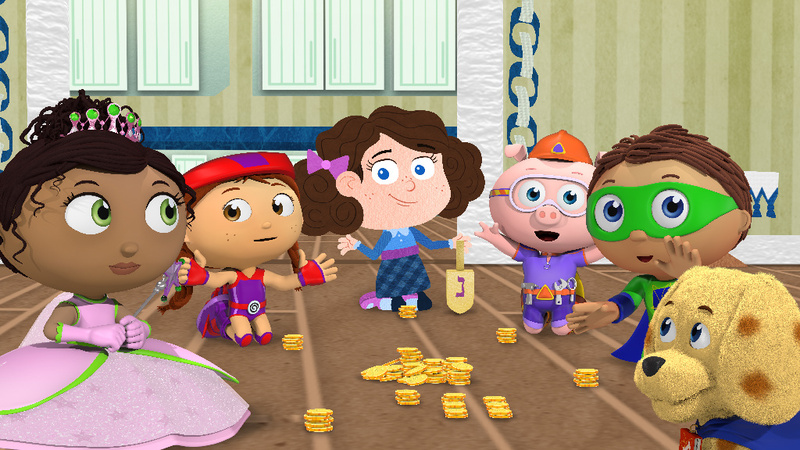 Join the Super Readers as they jump into a book about Hanukkah to learn more about the holiday.On Super Why: Judith's Happy Chanukah, airing Monday, December 7 at 12 p.m. and again on Wednesday, December 9, 2015 at 12:00 p.m. on WXXI-TV. Whyatt is excited to have been invited to Red's Gramma's house to celebrate Chanukah, but doesn't know much about the holiday. To learn more, the Super Readers jump into the book Judith's Happy Chanukah where they meet Judith, who loves Chanukah so much that she can't wait to share it with her new friends. Educational Objectives: To learn about holiday traditions. Kids will play with the alphabet and identify the letters C, O, I, N, and S. They'll learn the word LATKES, rhyme -OIL words, and use the power to read to change the story and make both Red's and Judith's Chanukah celebrations special.